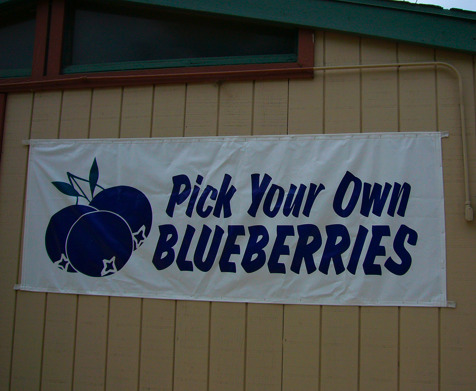 Blueberry season is here and I’m in danger of turning as blue in the face as Violet from “Willy Wonka & The Chocolate Factory.” We went picking for blueberries at a local farm on Sunday and filled three quart-sized containers. The tiny berries are irresistible and I’m baking something every night. 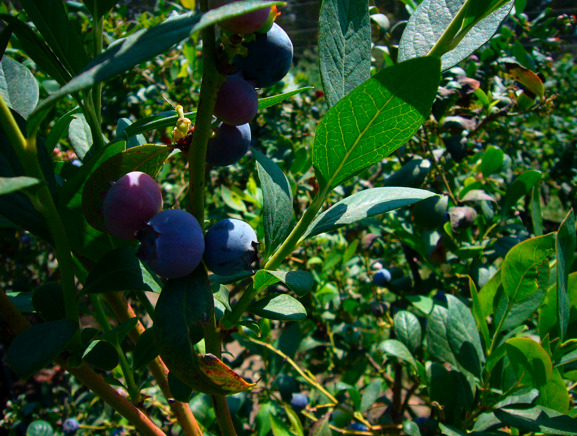 Where I grew up, there were wild blueberry bushes in the neighborhood and we would pick enough to make muffins. One of my earliest baking memories involves making muffins with Dominique from around the block and messing up the recipe by confusing the salt and sugar measurements. (The oversalted muffins were hard as rocks.) I’ve since learned to follow a recipe more closely and to improvise carefully. 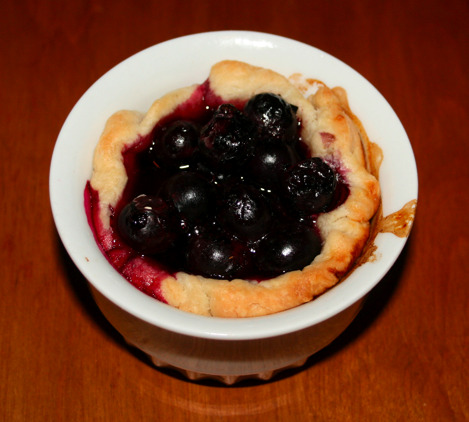 Instead of making a traditional blueberry pie the other night, I opted for mini-pies baked in ramekins. They were like little pots of love. To make them, I make a pie dough based on Martha Stewart’s recipe. She calls for butter in the recipe, but I use a combination of butter and vegetable shortening (the shortening makes the crust more flaky). Half the dough was used for a pie shell and the other half I used for making tarts and the mini-pies. Your blueberry memory was fun! Your blueberry tarts were scrumptious looking!